In Italian, “Settebello” is idiom for “seven of diamonds”. 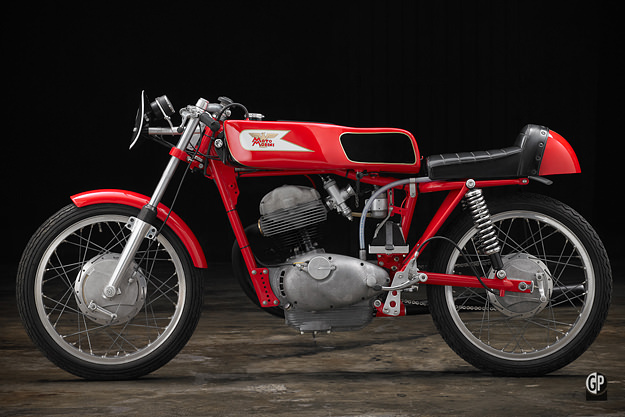 And this little 175cc Moto Morini is a real diamond, packing a surprising punch from its four-stroke single motor. This was during happier days for Moto Morini, when it enjoyed huge competition success after WWII. 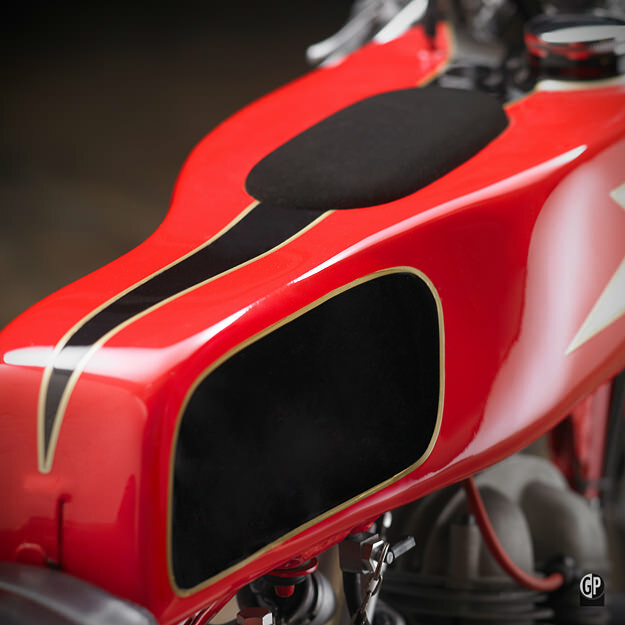 Built for privateer racers as well as fast road riders, the Settebello could keep up with most of the 250s of the day. 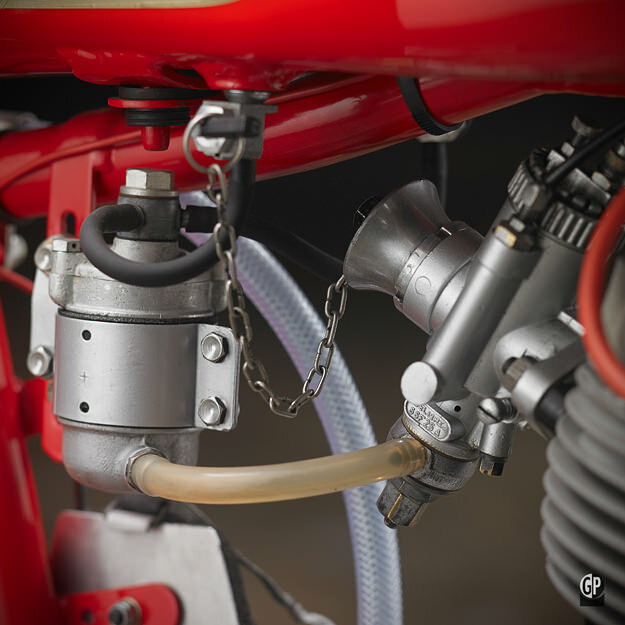 Engine output peaked at 16.5 hp—at a heady 8,500rpm— but with only around 100 kilos to propel, the bike could hit a remarkable 88 mph (141 kph). 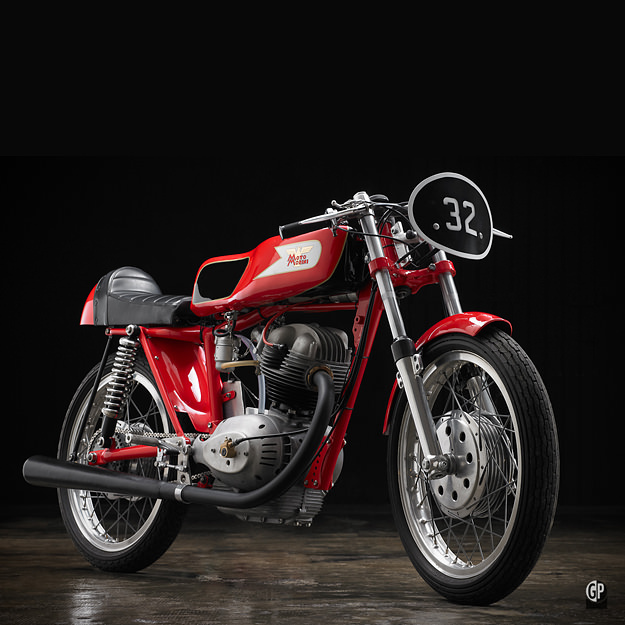 Trading on the glamour of Morini’s even smaller 125cc factory racer, and ridden by Agostini in the early 60s, the Settebello was a sales hit for the Bologna company. 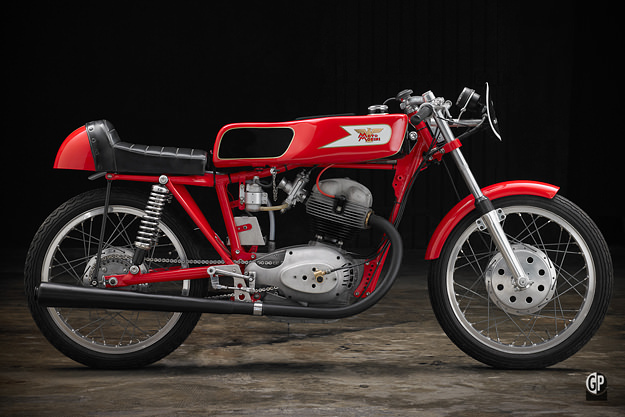 Sadly, those sales had well and truly dried up by the time Morini went into liquidation in 2009. But the company is now back in business, and apparently building motorcycles again. Check out their current offerings here. Images courtesy of Guerry & Prat.